The Clubhouse offers something for everybody. You don’t have to be a golfer to love the Clubhouse! The clubhouse lounge is a favourite haunt of our golfers, With free wifi and a fantastic range of spirits, draught beers and soft drinks, the lounge is the perfect place to quench your thirst after a great day out golfing . 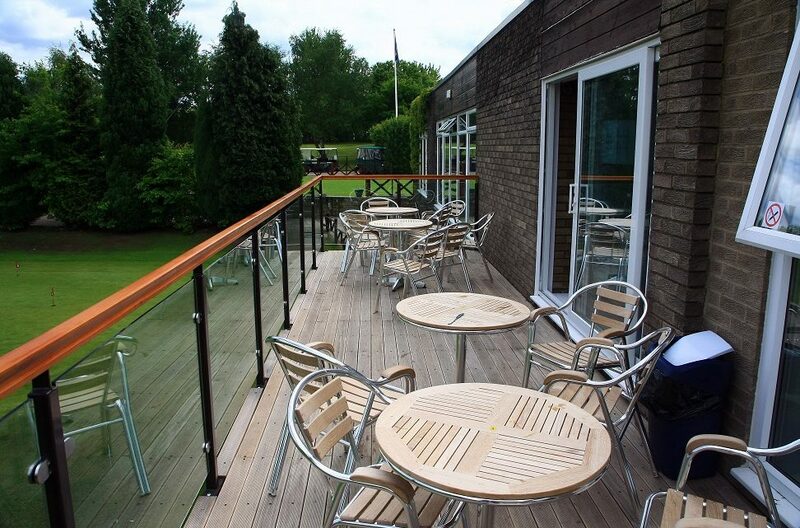 If the weather is fine sit outside on the balcony and watch the golfer’s or take in the views of the countryside. We always offer daily specials these are displayed on the bar. The Clubhouse and Catering Manager is Kerry Chambers. The dining room, which can accommodate about 55, is very popular for golf and local family events. It is an idea location to stage celebrations – such as weddings, birthday parties, anniversaries, business meetings, in fact any event. If you require a photographic service to capture your special day, we may be able to help secure a suitable photographer.